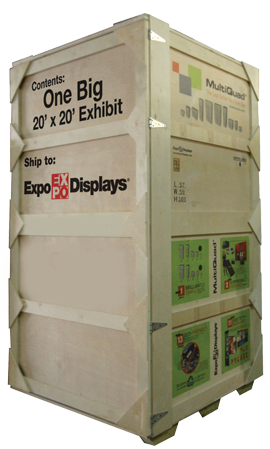 How much would you save if your 20’ x 20’ exhibit fit in only 1 crate? MultiQuad® can save you thousands per show on drayage and shipping because it packs small while giving you a BIG look. The average 20’ x 20’ requires only one crate. For every crate you are able to elimiate by using the MultiQuad, you will lose over 800 lbs in weight which means a savings of $1,300 per show ($616 spent on drayage and $700 spent of shipping). That doesn’t account for the amount you’ll save on storage, an average of $276 per crate. 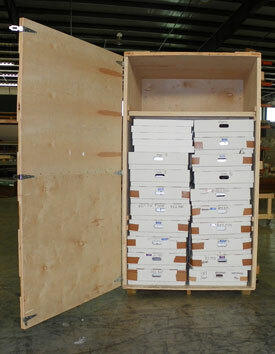 This entire 20’ x 20’ exhibit packed and shipped in just one crate! 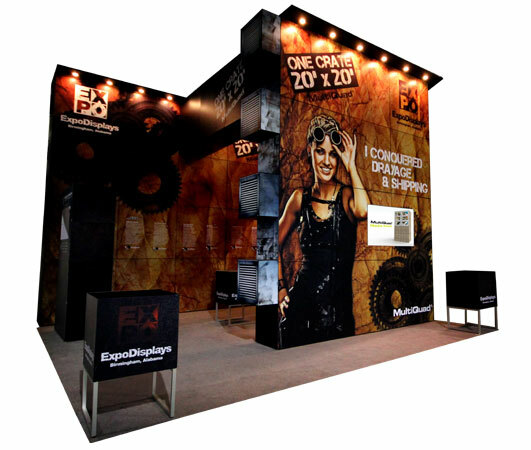 Check out these client case studies to see how other clients, just like you, are saving huge amounts each year by converting their trade show exhibit to the lighter, more efficent MultiQuad. Entire exhibit in one crate! To exhibit at the Space and Missile Defense Command show in Huntsville, AL. ExpoDisplays chose a 10’ x 20’ space against a wall and created a 16’ tall MultiQuad which included 70% Standard Stock Rental Quads. This impressive structure towered over other exhibitors and was clearly visible across the exhibit hall, giving ExpoDisplays a noticeable advantage. Ebsco Subscription Services, a division of the 2nd largest privately-held company in Alabama, cut their shipping and drayage expenses by 60% by switching from a 30’ x 40’ double deck custom exhibit to a 30’ x 40’ MultiQuad / Custom Hybrid. We not only maintained the company’s strong image with the new exhibit design, but we provided a 16 foot tower centerpiece and numerous resourceful work stations. This new design paid for itself in just one year. Neptune Technology Group, one of the world’s leading manufacturers of water meter equipment, traded an out-dated 30’ x 40’ custom exhibit for a beautiful 30’ x 40’ MultiQuad exhibit. 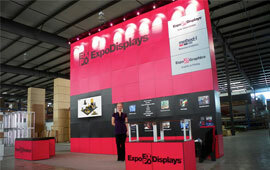 The new design gave them an impressive exhibit complete with 16 foot towers all while lowering their show expenses by 50%. The attractive new design even won a Gold Addy® Award. This table shows how much you could save if you reduced the amount of crates you took to each show. Your yearly savings will depend upon the number of shows that you do. The below indicates how much you will save after 1, 3, 6, 9 or 12 shows over exhibits that require 3, 6, 9 or 12 crates. This BIG MultiQuad packed in just one crate! The entire 16’ wall packed and shipped in this one crate -- with plenty of room to spare!